Out of the sadness cave and into the pediatric hospital, Renata has returned to join Kait and Eryn for the final book of Flashback Summer, Angels Watching Over Me by Lurlene McDaniel. We went back to a time before WebMD and The Fault in Our Stars, back when tweens had to cry over a romance between an English girl who doesn’t know she has cancer and an Amish boy who doesn’t know what candy bars are. We also learned about the dangers of spider bites. PSA: if you can’t find your Kleenex, maybe an angel stole it? Candy pairing: Eryn says buckeyes, Kait says vinegar candy, Renata says Milky Ways. Coming up next: The Selection by Kiera Cass. 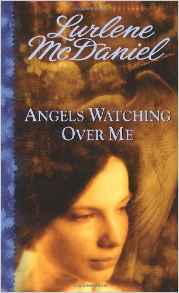 Here’s what we suggest instead of/in addition to reading Angels Watching Over Me by Lurlene McDaniel. Listen to the podcast to hear us talk about some of these titles in more depth! 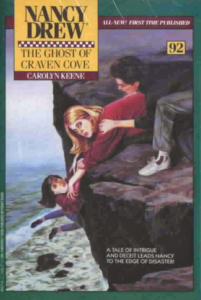 With Renata still in her Sadness Cave, Kait, Becca, and their guest Sarah took advantage of her absence to talk about Goosebumps and Fear Street. Join us on a trip back to Scholastic Book Fairs past, which is much more fun than taking a trip back to a torture chamber in vaguely medieval times. Just be careful not to DIE!!!! 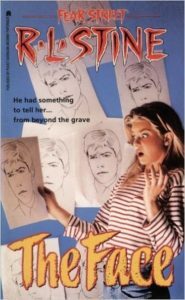 Chapter Two: …of boredom, because it turns out not much happens in these books, despite the cliffhanger shoved in every five pages. Candy pairing: Kait says Creepy Crawlers Edibles, Becca says Caramel Apple Pops, Sarah says Warheads. 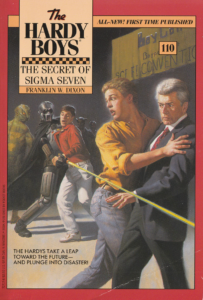 Coming up next: Nancy Drew and The Hardy Boys. 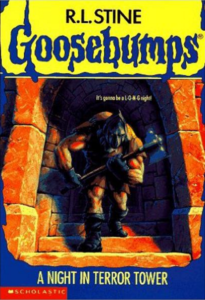 Here’s what we suggest instead of/in addition to reading Goosebumps and Fear Street by R.L. Stine. Listen to the podcast to hear us talk about some of these titles in more depth!